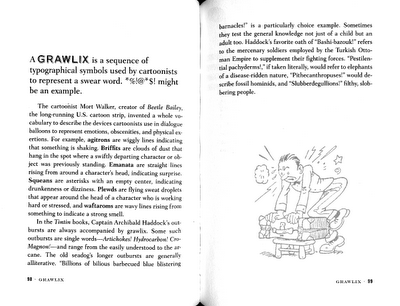 Matt Kuhns passes along this scan from Danny Danziger's and Mark McCrum's 2009 book, The Whatchamacallit: Those Everyday Objects You Just Can't Name (And Things You Think You Know About, but Don't), \ in which many comic-related squiggles are defined. Oddly, the accompanying art does not seem to be credited, despite sources for many (most?) other illustrations listed in the back. 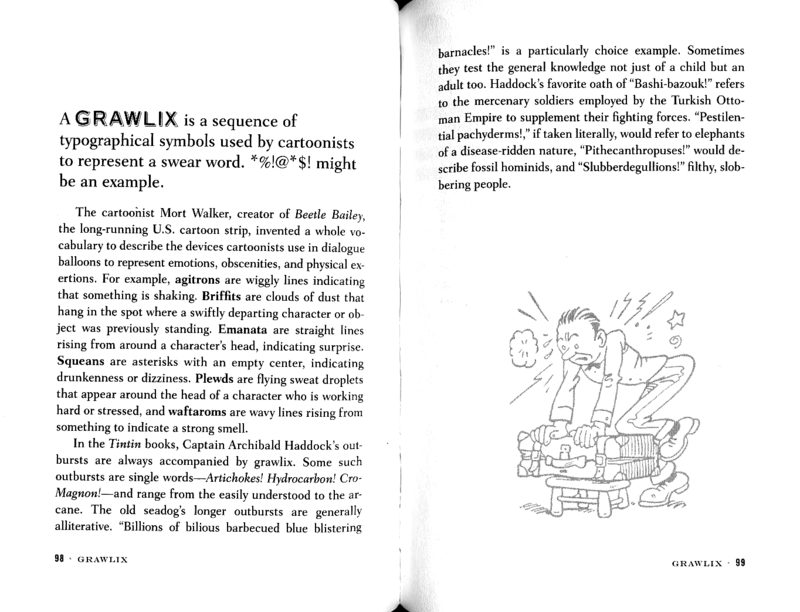 The basic content, though, comes from Mort Walker's The Lexicon of Comicana.